According to the latest update from Simone God, fiancee of former light heavyweight champion Adonis Stevenson, Stevenson has taken his first steps and is working towards walking independently once again. 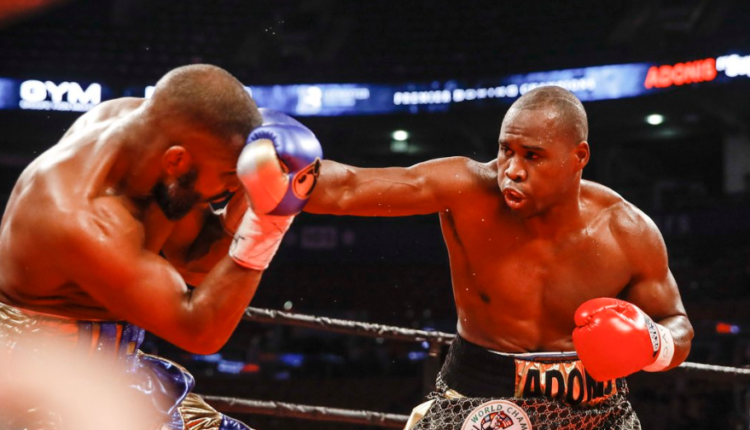 Stevenson was brutally knocked out while competing in Canada on Dec. 1, losing his WBC light heavyweight title to Oleksandr Gvozdyk in the process. In his locker room after the bout, Stevenson began to have physical issues, including dizziness. He was taken to a hospital, where a brain bleed was discovered. He was placed in a medically-induced coma before waking up Christmas weekend. Last month, I disclosed that Adonis had woken up and was healing from his injury in the private company of his family and his dedicated medical team. Today, I am happy to share that after months of grueling workouts and physical therapy, Adonis has taken his first few steps, and is working towards walking independently.